Invite your girlfriends over for a casual evening out on the porch. 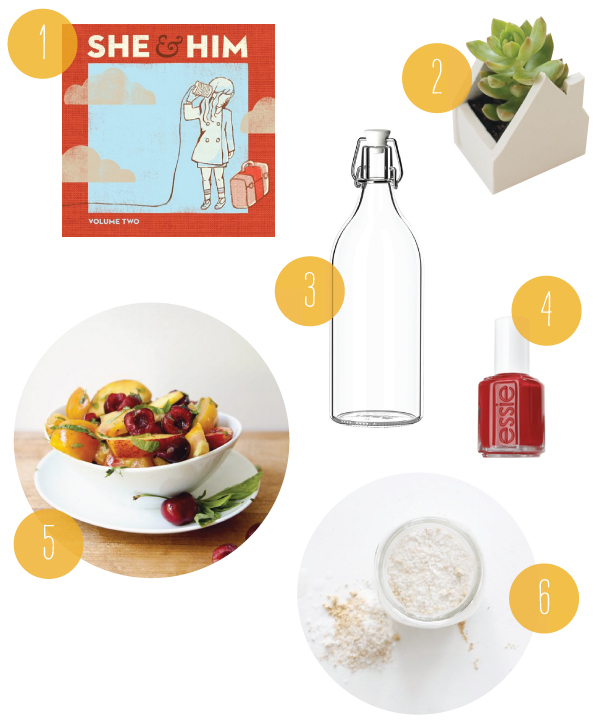 Serve up some summer salad, listen to mellow music, paint your nails, and make some detox bath for them to take home. That summer salad looks ah-mazing. What a great idea for a girls’ night! we’re having a lovely girls night in right now (it’s evening in Europe) and stumbled upon your blog! What a cute, simple little compilation. Makes me want red nails and that salad. Sounds like the perfect girls night in! Though I think I would have to add some sort of delicious dessert! Cute post. I love that salad! Sounds like such a fun girls night. Perfect for a Friday when I am too tired to go out but still want to have fun! Thanks for sharing! I always think of going out, but staying in could be equally fun! This looks brilliant. Add in some mojitos a d you’re on to a winner! I’m going to try the detox bath recipe – it would make a sweet little gift.